The smartwatch space is heating! 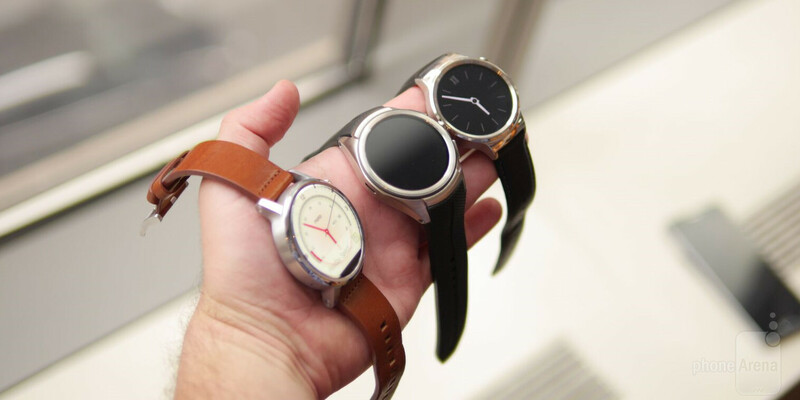 So far, we’ve seen the Huawei Watch, the 2nd generation Moto 360, and even the Samsung Gear S2. All of them, naturally, are unique in their own specific way, but we have yet to see a true Android Wear smartwatch with cellular connectivity. Well, that’s until now, as the LG Watch Urbane 2nd Edition is the first one running Android Wear that offers a truly untethered experience thanks to cellular connectivity. We got the chance to check out a pre-production model during a private event, but despite being able to turn it on, it still seems like a promising addition to the ever growing smartwatch lineup. Gone is the elegance of the original LG Watch Urbane, replaced instead by this beefy sized smartwatch that doesn’t try to hide its girth. Playing around with it briefly, it feels like it’s meant for the outdoorsy type of person – those who want to take a hike, or do some climbing, but without the worry of having to bring their smartphone to stay connected. Its stainless steel chassis ensures it’s going to be protected from the elements, but it just makes the watch so massive on our wrist. To be fair, however, it does pack cellular radios to keep you connected. However, that comes at a price. Not only because of the hefty size, but also in the way that its wrist strap bands can’t be replaced. We’re told that the radio itself is partly incorporated into the band, so that’s why it’s not something that can be replaced easily. That’s a shame, just because you’re stuck with a particular style. Now, we’re itching to see the display come to life, as it sports the highest resolution on a smartwatch to date. Specifically, it packs a 1.38-inch 480 x 480 P-OLED display, so we can imagine how crispy things will look. On top of that, P-OLED is the more favorable display technology as we’ve seen. Needless to say, the LG Watch Urbane 2nd Edition seems promising, but we’re itching to know its pricing. Factoring its beefy specs, solid design, high-res screen, and cellular connectivity, we can only imagine a premium price tag accompanying it. Right now, the perfect spot to be in is about the $300 to $400 range, but that’s for non-LTE enabled gear, so with this, we can definitely see some sort of hike for having it. The Quality of PA article are going down the drain.. You yet to see a smartwatch with 3g really? What about Samsung gear S thats came out months ago? damn guys you need to stop giving false info.. It's the 1st Android Wear watch to have it, as they said. And it's the 1st to have LTE, not 3G. What about battery life with such specs? Looks more like a proof of concept. Nice looking watch. Very elegant. Looks really great, let's hope it functions as well. I hope they make it even bigger before they release it. I could use a watchable Frisbee. Hahaha! I was thinking the same, it didnt look so big on previos article. I think I'll get the Samsung Galaxy Gear S2 instead even if I'm liking the features on LG urbane. Oh, when did Apple start making a watch that has a round face, LTE, GPS, and can connect directly to a carrier without using a smartphone.